Never worry about your bags again with CabinR's Discovery Travel Backpack and Vista Travel Messenger Bag. Whether on an airplane, bus or subway, CabinR's first-of-its-kind anti-theft sensors will keep your belongings safe from prying hands. 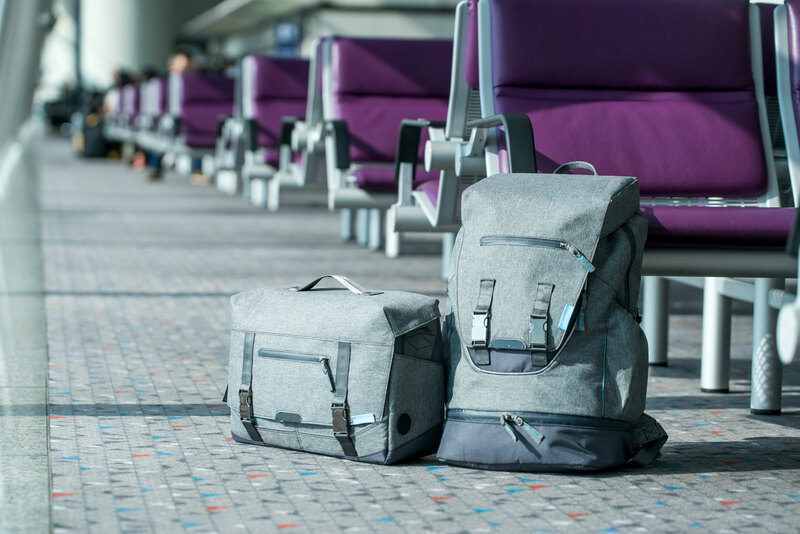 Big Bang Markets Limited, a Hong Kong hardware Startup Company announced that CabinR, the world's first anti theft travel backpack and messenger bag that they invented to secure unattended belongings during flights, will be launched on the popular crowdfunding website Kickstarter in the first quarter of 2018. In recent years, there have been many reported incidents of in-flight thefts, where valuable items were stolen from the passenger’s unattended carry-on luggage during flights. CabinR solves the problem by embedding electronic sensors into the two travel bags that continuously monitor movement. If the CabinR bags are opened without first disarming the alarm with an RFID key card, a loud alarm will sound to notify the passenger and flight cabin crew. The security system can also be physically detached from the CabinR bags to form a security blanket that can be used separately to secure any type of bag. No installation or modification to the bag required. To use the blanket, the user simply places it inside any bag on top of personal items, then activate it with an RFID key card. Using patented technology, the security system is able to distinguish between normal movement of the bag and real theft activity. Therefore, movements due to user or flight turbulence will not trigger false alarms. When used inside a bag, the security blanket will appear as a normal piece of clothing to an unaware thief. In order to steal items, a thief will inevitably disrupt the placement of the blanket and trigger the alarm.